Is moderate drinking not so good for you after all? 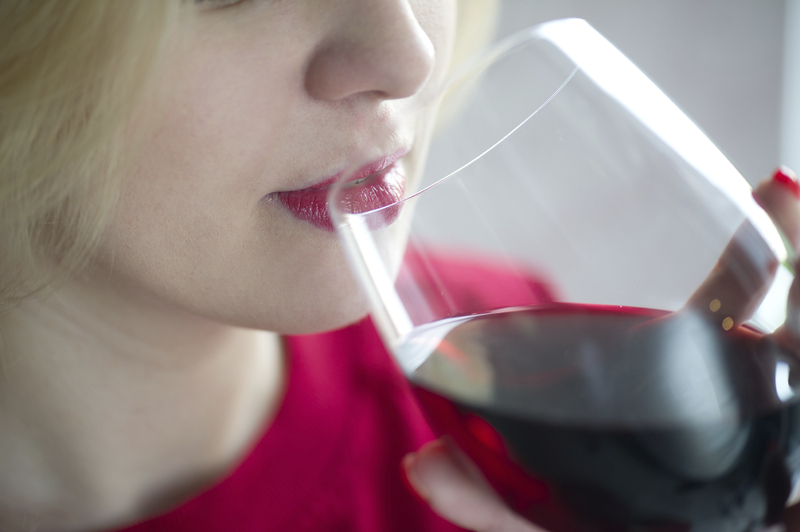 Is the occasional beer or glass of wine with dinner really all that healthy for you? There have been plenty of studies touting the health benefits of moderate drinking, but now new research is calling that into question. Scientists rounded up and analyzed 87 previous studies on alcohol and death from all causes. They found that the results linking moderate drinking to a longer life may be skewed, highlighting benefits where there actually may be none at all. "We were able to find every single study ever published linking how much we drink with how long we lived," said lead researcher Tim Stockwell, the director of the University of Victoria's Centre for Addictions Research in British Columbia, Canada. They found what they call an "abstainer bias" in most of the studies, meaning that when researchers compared moderate drinkers with non-drinkers, the non-drinking group often included people who don't consume alcohol due to other health issues, such as former drinkers who stopped due to poor health. That bias may have made the moderate drinkers -- those who downed anywhere from one drink per week to one or two drinks a day -- seem healthier by comparison, Stockwell explained. He and colleagues found that only 13 out the 87 studies avoided "abstainer bias," and only six of the studies analyzed were of high quality. When they corrected for the "abstainer bias," the moderate alcohol drinkers no longer showed a longevity advantage, said Stockwell. The researchers, whose study is published in Journal of Studies on Alcohol and Drugs, believe that using occasional drinkers as the reference point would give a more accurate picture of whether or not alcohol offers health benefits. "We saw a change from this famous J-shape curve suggesting moderate drinking is good for health to the J-shape curve vanishing. So abstainers and low-volume, occasional drinkers were all pretty similar in terms of risk from dying of any causes," Stockwell told CBS News. Dr. Harshal Kirane, director of Addiction Services at Staten Island University Hospital in New York, who was not involved with the study, said the research "highlights the limitations of past efforts to characterize the impact of low-volume alcohol use." Kirane told CBS News that the authors add a new angle to the subject by bringing attention to "pitfalls in the current literature." "The most valid conclusion to take from this study is that 'low-volume' alcohol consumption has unclear impacts on health and that 'high-volume' alcohol use is harmful," he said. A critique by the International Scientific Forum on Alcohol Research, a joint project of Boston University School of Medicine and researchers in the U.K., found flaws in the new study and said it "distorts the accumulated scientific evidence." "Results of essentially all studies that adjust for their concerns continue to show a significant and meaningful reduction in the risk of cardiovascular disease (CVD) and total mortality from the moderate intake of wine and alcohol," the group said in a post on the Forum's website. Women's heart expert Dr. Stacey E. Rosen said that in the cardiovascular field, the question of whether alcohol consumption helps protect the heart has been around for a very long time. Some studies suggest benefits related to blood pressure, stress reduction and improved cholesterol numbers, she told CBS News. "From a physiological perspective, it's been shown to make platelets less sticky," she added. "The definitions of low-volume, moderate and high-volume are always something we struggle with and it's even one of the areas where there are gender differences," said Rosen, who is vice president of women's health at Northwell Health's The Katz Institute for Women's Health, in New Hyde Park, New York. Rosen said she views meta-analyses, such as this one analyzing the 87 previous drinking studies, "with a little bit of skepticism." "Despite that they try to only select studies that the authors feel can be used in a global analysis, there are still often differences that always make me somewhat skeptical." The authors wrote that their findings have implications for public policy, alcohol use guidelines, and how scientists structure future studies that look at alcohol's impact on health. Stockwell said previous study results support wishful thinking. "It's become a very central part of our relationship with alcohol. The belief that it's not only fun and enjoyable but that it's doing us good. But there are so many grounds to be skeptical about that."